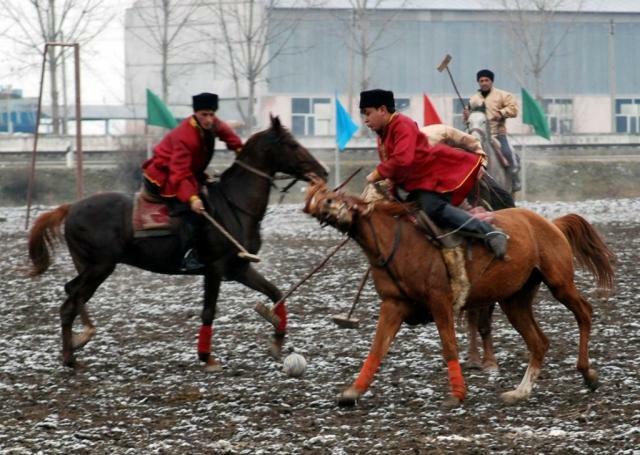 Chovqan is a traditional horse-riding game played on a grassy field by two competing teams of five riders mounted on Karabakh horses. Players use wooden mallets to drive a small leather or wooden ball into their opponents' goal. The game is accompanied by instrumental folk music called ''janghi''. Chovqan strengthens feelings of identity rooted in nomadic culture. The practice and transmission of Chovqan have weakened, however, due to socio-economic factors leading to a shortage of players, trainers and Karabakh horses. Authors and personalities: Nizami Abbas, director.